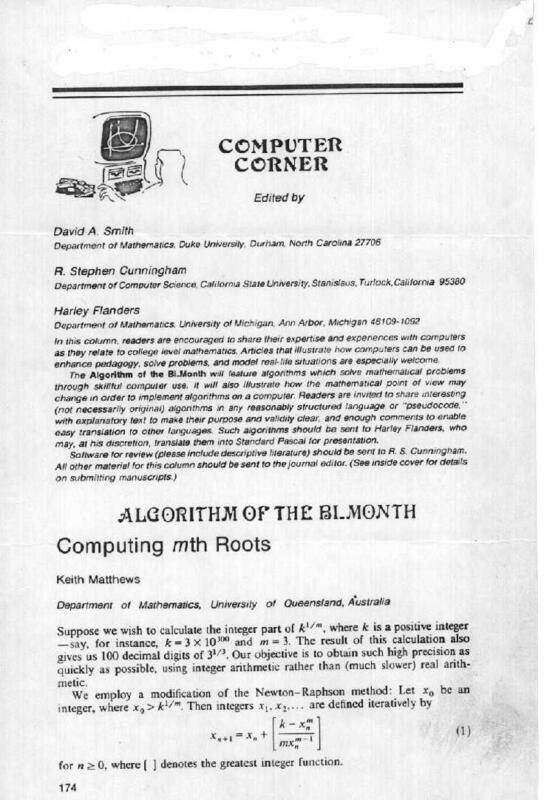 Keith Matthews, Computing m-th roots, The College Mathematics Journal 19 (1988) 174-176. 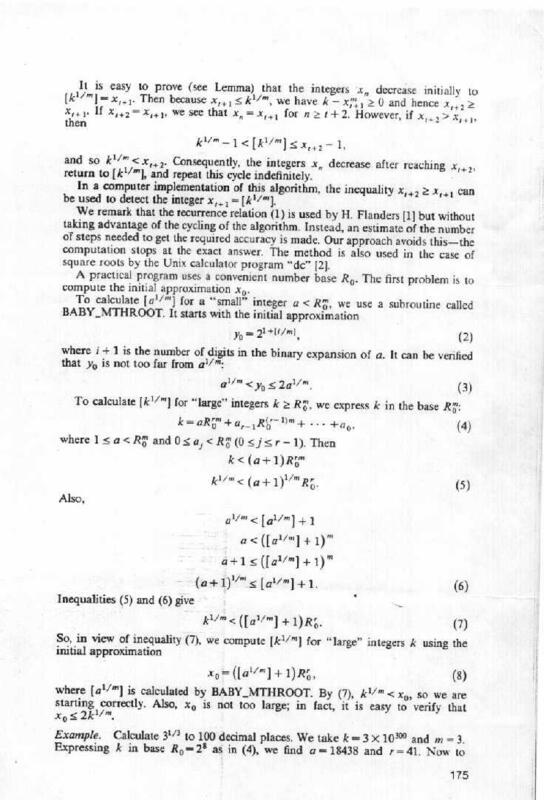 (A discrete version of Newton's method which gives the integer part of (p/q)1/m. 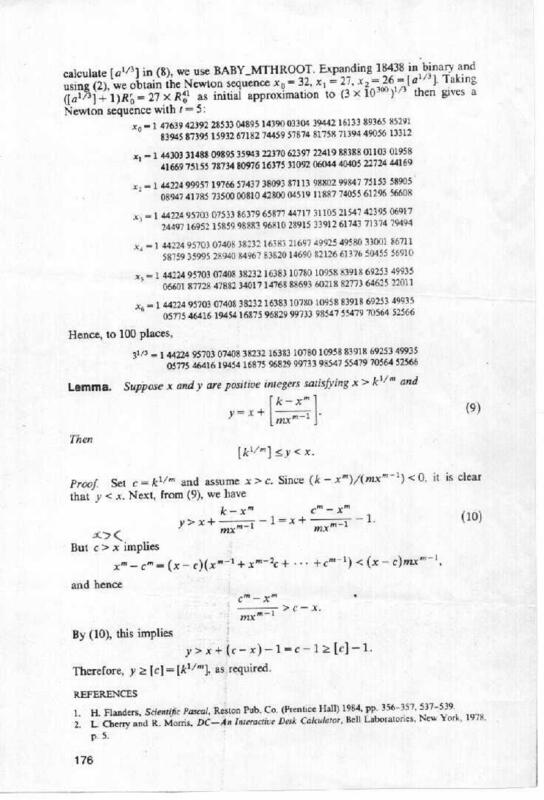 Also see H. Lüneburg's book On the Rational Normal Form of Endomorphisms 1987, B.I. Wissenschaftsverlag, Mannheim/Wien/Zürich. See the BCMATH implementation of BABY_MTHROOT and the BC version. Harley Flanders supplied the idea of using equation (4) below.